The annual Oie’ll Verree held in Michael village on old Christmas Eve is a perfect opportu nity to enjoy a Manx traditional, country concert; with a packed house indicative of its continuing success. 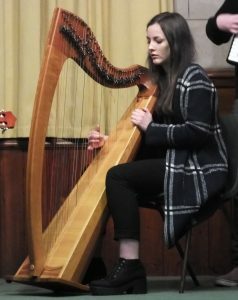 Tucked away in the old Ebenezer Hall, this much anticipated event was organised by the local branch of the Celtic Congress in latter years, but the baton has now been passed on to the Michael Heritage Trust. Today it’s a pot-pourri of acts and entertainment, adjusted a little from the original concept, which historically focused on the singing of lengthy carvals (Manx compositions typically based on Bible tracts) once the church service was finished. The event has an uncanny ability of attracting younger performers as well as some of the more mature stalwarts, which bodes well for its future. 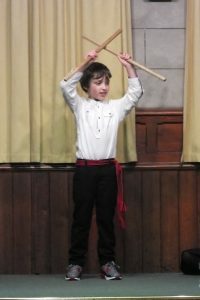 Compéred by the (youthful) Zoë Cannell, the first four acts reflected this successfully with a wide range of entertainment, with junior Manx dance group Skeddan Jiarg, a dialect recitation by John Kaighin, up-and-coming music group Scran and magician Lexi Watterson. Followed by the current Manx Bard, John ‘Dog’ Callister, a keen audience was treated to a Manx dialect sketch by J. Cooil, entitled The Choir Practice, before the young Field brothers introduced music on a classical theme. 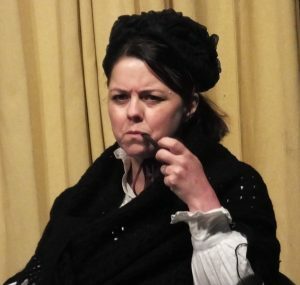 But after the presentation of the annual Yn Gligyr award by Michael Commissioners for service to culture in the local community, an expectant crowd settled back to watch the main event – the much anticipated Manx dialect play. 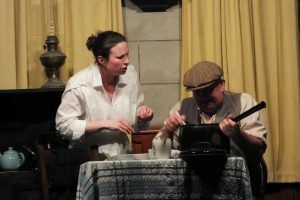 The Michael Players have a rich collection of original plays to choose from, including The Charm, re-enacted here and written by Christopher Shimmin in 1912. It’s a favourite which has been aired a number of times over the years, but never loses its popularity. 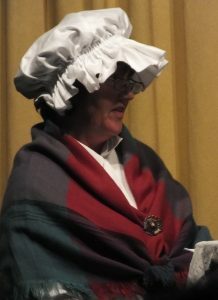 And with a number of actors deciding to hang up their bonnets and flat caps for the final time, after many years of devoted service, it was re-assuring to see that the plays had successfully attracted some younger performers.